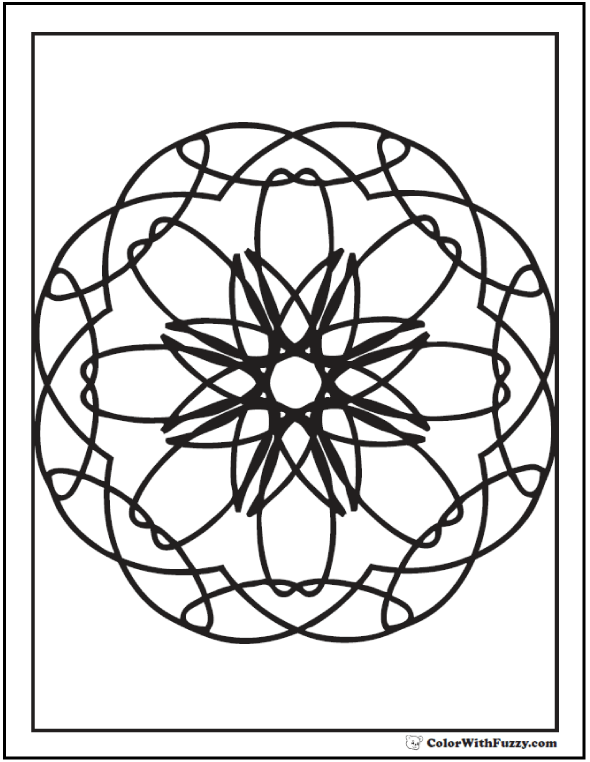 This adult geometric coloring page has a kaleidoscope flower pattern. Color this scribble to pass a dull moment. It looks like a stained glass window. What do you think? This PDF prints to 8.5x11 inch paper. Is this a flower or a kaleidoscope picture?